Getting a flu shot is the best way to prevent an illness that causes tens of thousands of deaths and hundreds of thousands hospitalizations every year in the United States. But aside from vaccination, other precautions can go a long way to reduce chances of getting sick during the cold and flu season. Certified Nurse Practitioner Dayne Adkins of Akron Children’s Hospital Pediatrics, Warren Downtown offers pointers on how to avoid germs that cause colds and flu. We often don’t think about prevention steps in the home. What are the best ways to keep illness-causing germs at bay there? Frequent hand-washing, coughing and sneezing into a tissue or your elbow are easy and quick prevention tools. Can bacteria and viruses live on surfaces for a long time? Yes. Some germs can live for several days on some surfaces. Lysol-type wipes can be beneficial to clean solid surfaces. Wiping down things like phones, doorknobs, remotes, etc., can prevent the spread of these germs. People shouldn’t forget cellphones, right? They can carry a lot of germs. Correct. However, you may need special cleaners depending on the type of phone. Checking with the manufacturer is important to prevent damaging the phone. 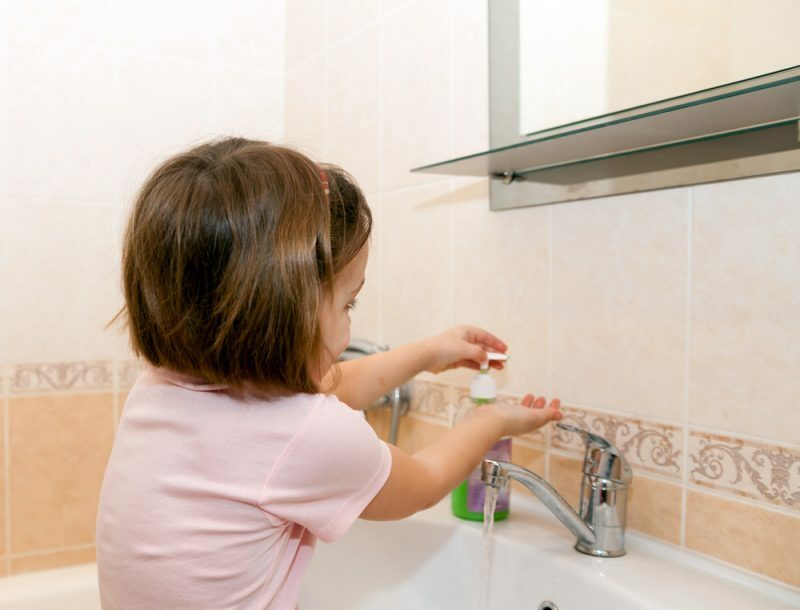 Making kids wash their hands is important, but parents should also teach proper hand-washing technique. What’s your advice? Using soap and water for 20-30 seconds of scrubbing, or using hand sanitizer helps tremendously. When using soap and water, it is important to use warm water and scrub every surface of the hands, as well as under the fingernails for the full 20-30 seconds. Flu viruses spread primarily through the air, according to the U.S. Centers for Disease Control and Prevention. We inhale tiny droplets others expel when they cough, sneeze or even talk. What is the best prevention there? Encouraging the sick population to avoid others whenever possible is the best option. However, when this is not possible, we should encourage everyone to be diligent about hand hygiene. Also, everyone should cover coughs and sneezes either with a tissue or their arm.